Risk management has evolved significantly over the last 10 years and we probably haven’t seen the last of the changes just yet. Norman Marks recently called for a leap change in risk management guidance. 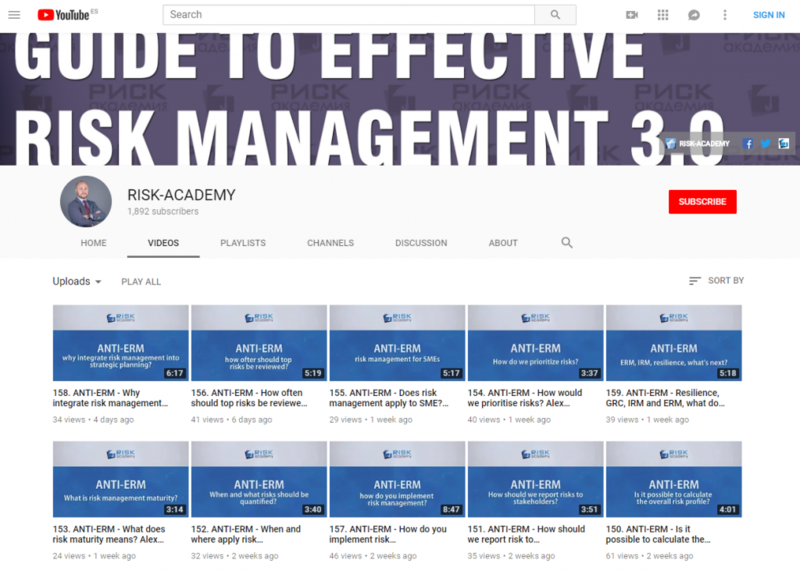 Alex Sidorenko, one of the authors of this guide, has also published a series of articles calling for a major change in risk management thinking, moving away from a stand-alone risk management process to a tool integrated into day to day decision making. Alas, it’s unlikely to happen any time soon, the resistance of some old-fashioned risk managers and consultants, who have little comprehension of how risk management works in real life, is very strong, pushing back on a lot of very valid and sound ideas. And while the leap change is not likely to happen, the progress is obvious. Significant changes are already coming in the updated ISO31000. Just as risk management is evolving, risk managers need to continuously build and improve their own skills as well. This means understanding the science behind how humans think in situations of uncertainty, how they behave and make decisions. Studying quantitative risk analysis tools and techniques is also becoming more and more important, given the abundance of data. And of course, understanding the company’s core business, what drives its performance and applicable industry trends. Nowadays, senior management expect risk managers to actively participate in the decision-making process, taking ownership of the risk analysis and sharing the responsibility for the decisions outcome. As a result, some risk managers need a major upgrade to their teams and their own thinking. The times of qualitative risk assessments, risk registers and heat maps are finally over.